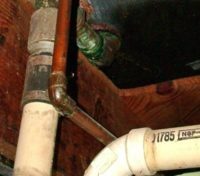 Your plumbing emergency won’t wait until the morning to happen! 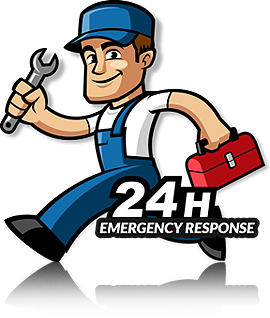 We offer 24/7/365 plumbing emergency services because your pipes won’t wait until the morning. Whether you have a clogged drain or a slab leak, our licensed and trained professionals are always there for you. Call us now. A family-owned and operated plumbing company operating in Fort Worth, Texas for the past 15 years, we are widely trusted and known as one of the most reliable local plumbing companies in the area. Our licensed plumbing technicians are skilled and undergo regular education and training to stay updated with the latest in the plumbing world. Over the years, we have honed our craft and now have the expertise to expedite any plumbing repairs promptly. All our clients laud our attention-to-detail and our excellent customer service. Have guests coming over and suddenly encountered a clogged commode, drain pipe or a burst pipe? All the local plumbers closed for the day? Give us a call and we’ll be right there to fix your issue in as short a time as possible! Our 24/7 emergency plumbing service in Fort Worth provides quick, professional solutions for your problems. Can hear water running somewhere in the house but can’t discover where it’s coming from? Have encountered mould and mildew problems in the house but can’t determine the reasons behind them? Let us help! Using modern state-of-the art equipment, we help you locate slab leaks or pipe leaks without being too invasive. Electronic amplification equipment and electromagnetic pipeline locators can quickly, efficiently and accurately locate leaks, helping you get to the root of the problem quicker. Get your garbage disposal replaced or repaired, toilet systems repaired, serviced or replaced with Pro Serve Plumbing! We promise quality services, every time. From unclogging kitchen drains and commodes to fixing burst pipelines or leaks, there is nothing our expert plumbers can’t take care of quickly and efficiently! Install energy-efficient water heaters, repair existing conventional water heaters or replace a gas water heater with a tankless one; we’re here to serve all your water heater needs! Helping you make the right decision for your home or business, we have served the community for well over 15 years and are experienced in all kinds of water heaters. Has an old sewer line started flooding your yard, bringing a terrible stink and dangerous germs along with it? Call us instantly for sewer line and trenchless pipe repairs! Keep your family healthy and your plants thriving with the help of our expert pipe repair services! The job done right the first time around! The team at Pro Serve plumbing far surpassed my expectations. From the office staff to the technicians in the field, they went above and beyond to ensure my satisfaction during our stressful remodel. Thanks again Pro Serve. Pro Serve answered my call after hours and on a holiday! They came out and had my kitchen’s drainage working perfectly before my Thanksgiving guest arrived. How Long Will It Take For My Plumber To Get Here? We send over our plumbers as soon as we get your call. Depending upon your location, it can take anywhere from 10 to 30 minutes. All our plumbers are licensed, certified and undergo regular education and training. No. All our charges are fixed and we’ll never ask you for more money even if we have to stay for a longer amount of time. 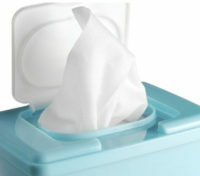 Over the last few years, flushable wipes have become very popular with many people opting to use them in addition to toilet paper.